Santa Clause Is Coming To Town!! 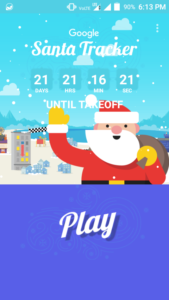 Google’s Santa Tracker Gets A New Update And Brings New Santa Clause Games. Visit Santa’s Village Every Day To Uncover New Santa Clause Games. These Mini-Games Specially Made For Kids. From Educational Games To Entertaining Santa Games. The Latest One Is Santa Snap Game In Which You Fly Around The Globe In Google Maps And Take Elfies With Famous Landmarks. Currently, Santa Tracker Has Over 5 Sanat Clause Games[In Android App], And More You Can Play Online. Gumball – In This Santa Clause Game, You Tilt Your Phone And Navigate Balls To Basket. Memory – In This Santa Game You Open Doors And See Who Inside It – Reindeer, Snow Man, Elf. You Have To Match The Same Character By Opening Same Doors In A Row. Rocket Sleigh – This Is One Of The Best Mini-Santa Clause Game Similar To Android OS Lollipop Default Game. You Tap, Tap, And Tap To Avoid Obstacles, Collect Gifts, And Achieve High Score. Dasher Dancer. City Quiz – In This Game, You Answer Questions Related To Cities. Penguin Swim – This Santa GAME Is Also Interesting. You Tilt Your Phone, Avoid Obstacles, And Swim As A Penguin. 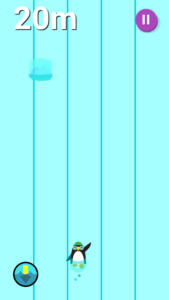 Snowball Run – In This Game, You Have To Navigate Elf Through Fast Tracks Which Push You Because You Need To Protect Yourself From Snowball Chasing You. More New Santa Clause Games Are Coming, Keep Track Santa With Santa Tracker. Download Now!! From Google Play Store.